France has been inhabited by humans for a very long time. The earliest traces of human-life in the country date back to approximately 1.8 million years ago. The earliest humans in France were nomadic hunter-gatherers. Among the traces left by these people in France are many decorated cave paintings from the Upper Paleolithic (the period from approximately 50,000 BCE to 10,000 BCE), including, perhaps most famously, the paintings in the Lascaux Caves in southwestern France, which date from approximately 18,000 BCE (the Lascaux Caves, along with other prehistoric sites in the Vézère valley have been designated a UNESCO World Heritage Site since 1979). After about 7,000 BCE, the inhabitants of western Europe, including France, gradually began to adopt a sedentary lifestyle based around agriculture. Metallurgy appeared towards the end of the 3rd millennium BCE. Additionally many megalithic sites, including perhaps most famously the Carnac stones site (near the village of Carnac in Brittany) were built around this time. In the 6th century BCE, Ionian Greeks established a colony on the south coast of France, at the site of the present day city of Marseille, which they called Massalia (Greek: Μασσαλια). Meanwhile, tribes of Celts gradually migrated to, and began to occupy the rest of France. Gradually the concept of Gaul (a territory roughly corresponding to modern day France) began to emerge. The land was largely inhabited by Celts, although southern parts were strongly subject to Greek and Roman influences. One particularly notable Gallic cheftian, Brennus, even led his troops across the Alps into Italy in 390 BCE. Once there, he defeated the Romans at the Battle of Allia, and went on to sack the city of Rome. The Romans and Gauls reached a formal peace in 345 BCE, but conflicted continued intermittently for the next several centuries. In 125 BCE, the Romans conquered southern Gaul, and made into a Roman Province (Latin: "Provincia Romana"), and it is from this that the French region of Provence gets its name. The rest of Gaul was conquered by Julius Caesar between 58 BCE and 50 BCE. These wars are described in his book Commentarii de Bello Gallico (Commentaries on the Gallic War), which not only describe the battles and intrigues of the war, but also are best known written description of Gaul in this time period. Gaul remained under Roman control until well into the 5th century AD, but with the collapse of the Roman Empire, Germanic tribes such as the Vandals, Suebi, Alans, and Visigoths crossed the Rhine, sacked Gallo-Roman cities, and in some cases settled in Gaul. One particular tribe, the Franks, settled in Northern Gaul, and its is from their name that the word "France" is derived. 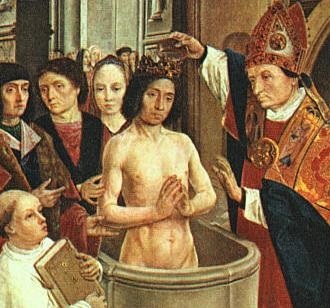 In 498, King Clovis I of the Franks converted to Christianity. Clovis I was the first of the Germanic barbarian leaders to convert to Catholicism rather than the Arian variant of Christianity. 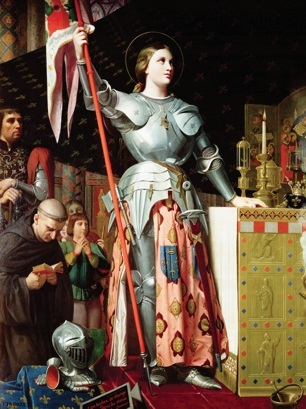 As a result of this, France was given the title "eldest daughter of the Church" (French: la fille aîl;née de l'Église), and French kings were known as "the Most Christian Kings of France") (Rex Christianissimus). In the 8th century, the Franks went on to defeat an attempted Islamic invasion of France at the Battle of Tours, and then to establish the Carolingian Empire. The greatest of the Frankish leaders, Charlemagne (742 to 814), was proclaimed Holy Roman Emperor (an attempt to revive elements of the fallen Western Roman Empire) by Pope Leo III. After his death, Charlemagne's empire was divided into West Francia, Middle Francia, and East Francia - with these subdivisions often being regarded as precursors of the modern countries of France (West Francia) and Germany (East Francia). In the 9th and 10th centuries, feudalism was established in France, and there was a gradual loss of royal power. Viking invasions resulted in further decentralization, and some of the king's vassals greatly grew in terms of their own power. One in particular, William Duke of Normandy, went on to conquer in England in 1066, and thus became both a vassal to the King of France (by being Duke of Normandy), and an equal (as King of England). Nevertheless French Kings gradually united and established title to rule the whole of modern continental France. However after the death of King Charles IV in 1328 without an heir, both Philip of Valois (a cousin of Charles IV), and Edward III of England (a nephew of Charles IV) claimed the throne of France. It was as a result of this dispute that the Hundred Years' War (actually a series of wars, lasting somewhat over 100 years) arose between England and France. After many setbacks, the French eventually won the wars, regaining control over the whole of France. Between the late 15th and early 17th century, France went through the French Renaissance. Many artistic and cultural developments occurred during this period, including the in the fields of art, architecture, music, literature and science. Additionally, the French language was standardized, and French explorers explored parts of North America (these parts, then being known as "New France"), and created the first French colonial empire (including parts of the Amerias, parts of Africa, and parts of India). Although not without problems (such as religious wars), by the time of Louis XIV (1638 to 1715, King of France from 1643 to 1715), France was the most populous and powerful country in Europe. As a result, French became the principal language of diplomacy, literature, and science - a status it would retain until the 20th century. Following the storming of the Bastille (a medieval fortress and prison in Paris on July 14th 1789, France became a constitutional monarchy, rather than an absolute monarchy. In September 1792, however, a republic was declared, and the King, Louis XVI, was convicted of treason and executed by guillotine in 1793. A period of chaos then followed - a Reign of Terror including many executions in Paris led by radicals, and civil war in other parts of the country. This war in turn, put to an end when the radicals were overthrown by more conservative revolutionaries ("the Thermidorian Reaction"). Napoleon Bonaparte seized control of the French Republic in 1799, becoming initially First Consul, and later Emperor. 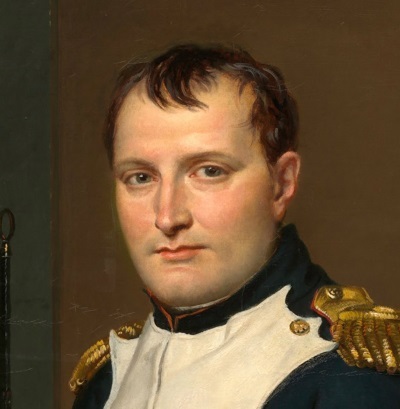 Napoleon fought a series of wars against various European coalitions, and conquered most of mainland Europe (ideas such as the Metric system, the Declaration of the Rights of Man, and the Napoleonic Code, were introduced to other European countries as a result). However, after a catastrophic attempt to invade Russia in 1812, Napoleon's power began to wane, and he was eventually defeated and replaced by a restored Bourbon monarchy in 1814. Napoleon made a brief return to power in 1815, before being again defeated (at the Battle of Waterloo), and again replaced by a restored monarchy. In 1830, King Charles X, the French Bourbon monarch was overthrown (the July Revolution), and replaced by his cousin Louis-Philippe, Duke of Orléans. Louis Philippe I was himself overthrown in 1848, and a second republic established. Louis-Napoléon Bonaparte, nephew of Napoleon Bonaparte, was elected President of the new republic in 1848, and later declared himself President for Life, and then Emperor. Louis-Napoléon Bonaparte ruled as Emperor Napoleon III until captured by the Prussians in 1870 during the Franco-Prussian War (at which point the Third Republic was declared). Although the 19th century was a period of great changes in France, the country was still a great power. France established a new colonial empire (much of the first French colonial empire had been lost to Britain in the 18th century), beginning with Algeria (conquered in 1830), and later including many other territories in Africa and Asia. By the early 20th century, France had in fact the second largest colonial empire (after Britain), which encompassed more than 12 million square kilometers and 110 million inhabitants (including France itself). When World War I broke out, France was, along with Britain and Russia, part of the Triple Entente. Although, only a small part of France's territory was occupied during the war, and although France did emerge on the victorious side in the war, the country suffered grevious losses - 1.4 million dead. In World War II, France was on the Allied side, however she was defeated by Germany in a lightning campaign in 1944. 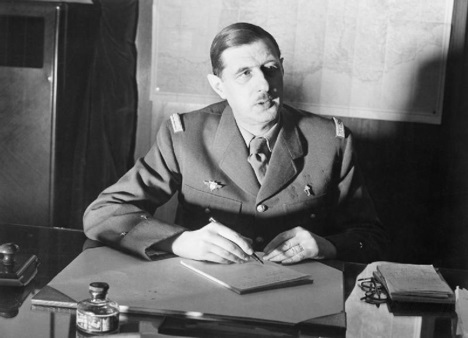 After this period, a collaborationist French regime was established at Vichy, whereas other French servicemen chose to fight on as the "Free French" led by Charles De Gaulle. Following the D-Day landings, France was eventually liberated from German occupation in 1944. After World War II, France has became a founding member and leading advocate of the European Union. French colonies were also gradually granted independence in a sometimes painful process - including wars in Indochina and Algeria. Below are some books about the history of France.